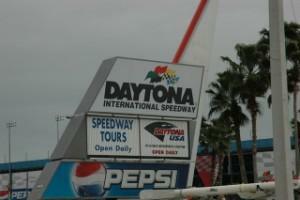 Traveling to Daytona Beach for a Race? There are many campgrounds at Daytona Beach. Whether you're looking for a place to stay during Bike Week, for a NASCAR race, or you simply want to enjoy spending time in and around the Daytona area, you're sure to find an RV or tent camping facility that meets your need. Daytona Beach Campground has more than 200 campsites. The park caters primarily to RV travelers, but also has a tent area. Campsites feature cable television hookups, internet access, and more. There is a dump station on-site. There is an on-site laundry room, located in close proximity to the office and television room. Campers can enjoy a variety of outdoor activities include a 50-foot swimming pool, kiddie pool, basketball court, cabana, recreation hall, and playground. See the campground's website for information about rates and reservations, or call 386-761-2663. The office is open from 9 am to 9 pm every day. The Daytona Beach KOA features RV sites, tent campsites, and on-room camping cabins. The RV sites are pull-thrus, with a maximum length of 80 feet. Cable TV hookups are provided at no additional charge, and 50-amp electricity is available. Free wireless internet access is also available. Campers can enjoy the outdoor swimming pool, playground, and pavilion all year. Bicycle rentals are available. There is also a snack bar on the grounds. See the park's website for rates, or call 386-767-9170 for more information. If you're looking for a modern, roomy RV park in Daytona Beach, you're sure to be pleased with the International RV Park Campground. The facility's roomy campsites are designed to accommodate motor homes up to 40 feet long. Campers can use 50-amp or 240-volt power, and each site has water and sewer hookups. Concrete pads, picnic tables, and pull-thru parking are available on some sites. There are a variety of amenities, including an on-site general store, laundry room, bath hose, and dump station. Campers can enjoy a large outdoor swimming pool, fishing pond, playground, and gazebo. Local phone calls are free, and free high-speed internet access is available in the area around the office. Rates vary based on season and local activities. See the park's website for pricing and contact details or call toll free 866-261-3698. Nova Family Campground is designed to meet the needs of tent campers and RV travelers, and offers cabin accommodations. The facility's pull-thru RV sites can accommodate campers up to 45 feet long and provide access to 20, 30, and 50-amp electricity. Cable television hookups are also available. Tenters can choose between sites with electricity and water and those with no hookups. Outdoor activities include a swimming pool, shuffleboard, and horseshoes. There is an on-site camp store and a laundry room. The bathhouse features hot showers and restroom facilities. The campground is home to a 4,000 square foot recreation hall, which is ideal for groups planning reunions, rallies, and other special events. For pricing information, see the campground's website or call 386-767-0095. Speedweeks Campground is located just a mile away from the Daytona Speedway, making it an ideal home base for racing events. The facility can accommodate both tent and RV campers. Speedweeks campground is open only during racing weekends. A variety of vendors set up on the grounds, offering various NASCAR merchandise, food, and more. Bonfires are held each night. Electrical hookups are not available, but campers are allowed to bring and use generators. Sewer hookups are also not available, but RV campers can purchase daily pump out services. Hot showers are available for campers, as are water stations. You can reserve your campsite online. Call 386-788-1063 for more information. 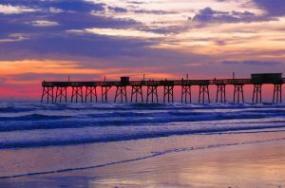 Looking for More Campgrounds at Daytona Beach? These are just a few of the many campgrounds at Daytona Beach. If you'd like to research additional camping options, see the Daytona Chamber of Commerce's membership directory and the official Daytona Beach Visitor Information website.